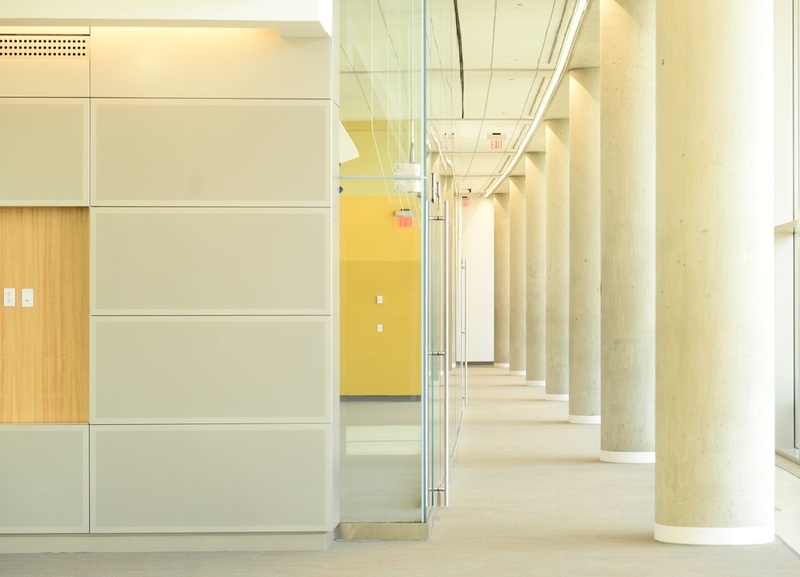 Banneker Ventures is serving as the prime contractor for the two-phase renovation of the FDA’s Federal Research Center Bioscience Library in White Oak, MD. Phase I consisted of selective demolition of the existing Library located on the third floor in Building 2 and consolidation of the Library into the South half of the floor plate. Phase II consists of construction of open workspaces, enclosed offices, and small teaming rooms in the north half of the floor plate. Work includes drywall, doors, millwork, ceilings, significant and non- structural glass and updates to the mechanical, electrical, and plumbing systems. Additional contract work includes procuring and installing all interior furniture for Phase II as well as outdoor furniture for the campus.